President Rodrigo Duterte will be turning 74 this month and he is the only septuagenarian chief executive the Philippines ever had. We learned that as the President will be turning a year older, he is getting more exhausted. He expressed his feelings during the campaign rally of PDP-Laban in Marikina City. "Ako matanda na. Ngayong buwan na ito mag 74 na ako. P— ina mo kasi pagod na ako sa inyo... Naghahanap lang ako talaga ng lusot na para makapagpahinga na. Pagod na rin ako kaya do not f—k with me,” the President said. In a report by the GMA News, President Duterte reiterated that all he wanted was to make the Philippines a much safer place. He instructed the p0lice to “ki11” cr1mina1s, especially those who m0lest women. In case a sh0oting happens and an investigation about the human ri6hts aris3s, Duterte told the law enforcers to just mention his name and that it was his direct order. 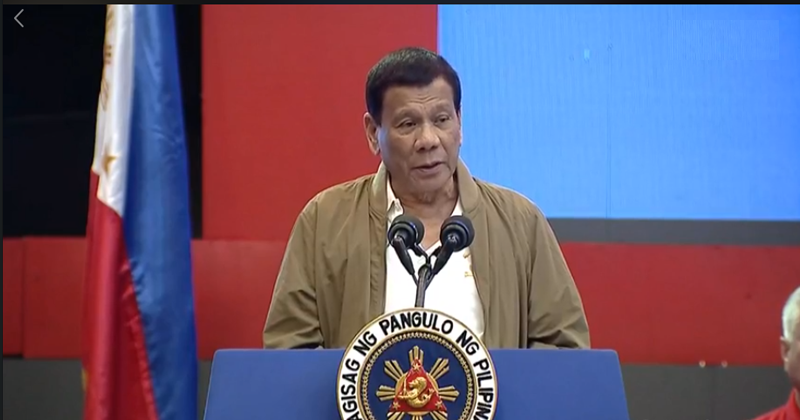 According to a report by the Manila Bulletin (author Genalyn Kabiling), the President threatened the narco-politicians once again for being involved in drug operations. He also gave a warning to those who are planning to “destroy” the Philippines. President Duterte will be celebrating his 74th birthday on March 28. He used to be the Mayor of Davao City for a very long time and also served as the vice mayor to his daughter, Sara Duterte-Carpio. It was in 2016 when Duterte assumed the role of being the country’s President.